Founder and CEO John W. Lockwood is a serial entrepreneur and expert in building FPGA-accelerated networking applications. He has founded three companies in the areas of low latency networking, Internet security, and electronic commerce. He has worked at the National Center for Supercomputing Applications (NCSA), AT&T Bell Laboratories, IBM, and Science Applications International Corp (SAIC). As a professor at Stanford University, he managed the NetFPGA program from 2007 to 2009 and grew the Beta program 10 to 1,021 cards deployed worldwide. As a tenured professor, he created and led the Reconfigurable Network Group within the Applied Research Laboratory at Washington University in St. Louis. He has published over 100 papers and patents on topics related to networking with FPGAs and served as served as principal investigator on dozens of federal and corporate grants. He holds BS, MS, PhD degrees in Electrical and Computer Engineering from the University of Illinois at Urbana/Champaign and is a member of IEEE, ACM, and Tau Beta Pi. CEOCFO: Dr. Lockwood, would you tell us about Algo-Logic Systems? Dr. Lockwood: Algo-Logic is a gateware company that implements networking algorithms that run directly in digital logic. Algo-Logic’s products reduce latency in stock trading systems, accelerate packet processing in data centers, and process real-time data from sensors. By using gateware, Algo-Logic’s solutions run faster than software while consuming significantly less power. CEOCFO: How is gateware different from software? Dr. Lockwood: Gateware is similar to software in that it is reprogrammable, but also like hardware because it computes in parallel. When we implement an algorithm with gateware, fine-grain circuits perform the computation in an optimal way for the application, so no extra time or power is wasted. Algo-Logic’s gateware typically run on Field Programmable Gate Array (FPGA) devices and interface to high-speed Ethernet links. We achieve improvements in performance that can be as much as 100 times faster than if they ran on a traditional microprocessor. As a result, we compute more quickly, achieve higher throughput, and consume less power than if we performed the same computation on a general-purpose processor. CEOCFO: What are a few examples of the metrics for the products you implement? Dr. Lockwood: We build low-latency trading circuits that place stock market orders within a millionth of a second (1 microsecond), high-speed switches that forward Internet packets at a rate of 100 billion bits per second (100 Gigabits/second), and power-efficient cores that perform 150 million searches per second (150 MSPS). CEOCFO: Who uses your low-latency products and where are they deployed? Dr. Lockwood: Banks, broker/dealers, market makers, and hedge funds use our technology to place and manage stock market orders. We minimize our customers’ order processing delays with gateware deployed on FPGA cards at sites co-located in New York, Chicago, London, several European exchanges, and a growing number of venues in Asia. CEOCFO: Should every firm use your products so that their customers can benefit? Dr. Lockwood: Yes, Algo-Logic’s low latency finance products can benefit everyone because they (1) respond quickly to changing market conditions, (2) avoid risk by checking orders before trades are placed in the market, and (3) route orders to the right exchanges to ensure that customers always get the best price when they execute a trade. CEOCFO: How do people know you and where can they see your products in action? 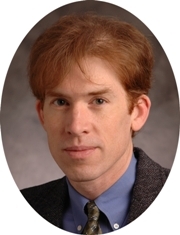 Dr. Lockwood: As a professor at Stanford University, I led a research program called the NetFPGA between 2007 and 2009. By end of three years, our beta program grew to have over a thousand academic users and we had deployed over a thousand NetFPGA platforms. In 2009, I started Algo-Logic with the intent of servicing commercial users who needed help transforming their algorithms into logic. We routinely give live demonstrations of our products at trade shows and conferences. For example, we will be in New York City on September 22 to demonstrate the Tick-to-Trade appliance at the High Performance Computing (HPC) Finance conference. CEOCFO: Who else benefits by using your products? Dr. Lockwood: Faster networks help anyone who has the need to access data quickly. In the stock market, being first to react to changes in the market yields profitable trades. In a data center, our technology increases the number of transactions processed each second, thus increasing network service revenue and advertisement sales. Our Gateware Defined Networking (GDN) products consume less energy to search and switch data, which in turn reduces operating expenses and our customer’s total cost of ownership. CEOCFO: What is involved in maintaining the equipment? Dr. Lockwood: We support our customers remotely via the Internet and maintain our systems by updating gateware without the need for physical access to the hardware. This is critical, as most of our systems are deployed in lights-out data centers, meaning there are no humans inside. Thus, even though our company headquarters is located in the heart of Silicon Valley, we have no problem supporting our customers and maintaining the equipment worldwide. CEOCFO: You mentioned some international exchanges. Do you see going into exchanges internationally that are maybe smaller but might benefit as well? Dr. Lockwood: International exchanges can benefit greatly from the use of GDN technology. One of our newest customers is currently deploying our FPGA-accelerated order book and TCP endpoint in Hong Kong. We anticipate a great deal of growth coming from international markets because those venues have not yet been optimized for latency. Dr. Lockwood: Algo-Logic has a library of pre-built gateware components that we sell as a part of a complete solution. We typically license our core components and then customize the logic to meet the customer requirements. We also support our gateware applications in pre-programmed FPGA cards and provide systems for customers that need a full, turnkey solution. CEOCFO: In some instances then would you have an ongoing relationship? Dr. Lockwood: Yes, we typically maintain ongoing relationships with our customers as they migrate more of their algorithms from software into logic. CEOCFO: When you are doing a customized implementation, what is involved? Dr. Lockwood: We work closely with our customers to understand exactly what they need to achieve for success. After we understand their design requirements, we start a new project by integrating our prebuilt cores. Next, we customize the logic around these cores to implement the rest of the solution. We verify the functionality of the logic with circuit simulators and then synthesize the gateware into FPGA logic. Using accelerated servers in our test laboratory, we run live Ethernet traffic through the logic. Next, we provide our customers with remote access to the test network so that they can run their own traffic through the circuits. Once they are confident that the application is complete, we typically ship FPGA equipment (cards or servers) directly to their co-location site and deploy the application in the cloud. CEOCFO: As the product has been available commercially, what has changed? Dr. Lockwood: We are now able to build much more complex and larger applications with FPGAs than were possible just a few years ago. Thanks to Moore’s law, the size of integrated circuits has continued to grow exponentially. It is no longer the case that the speed of processors is significantly increasing, but rather that these larger devices have more parallel logic and memory in which more algorithms can be implemented in fine-grain parallel logic. CEOCFO: What surprised you as the business has developed? Dr. Lockwood: The rate of growth for cloud services in the past few years took me by surprise. Consumers with smartphones now generate enormous volumes of data in the form of messages, photos, and videos. With streaming data service like Netflix, for example, it is common for a consumer in the United States to stream Gigabytes of data per day. The exponential growth of Internet traffic has fueled the demand for new technologies in the data centers which can process thousands of times more data than was required just a few years ago. Dr. Lockwood: Business is healthy and has increased continuously since I began the company in 2009. Algo-Logic just announced collaboration with IBM and launched new FPGA-accelerated products that include a GDN Switch, Key/Value Search. For financial customers, we recently released new generations of our low-latency order book, stock market risk checks, TCP/IP endpoint, and market data filter. Dr. Lockwood: We are in a race to zero latency. Everyone would like to trade with zero delays, but that is not possible. Instead, we work on logarithmic timescales where improvements have enabled lowering of the trading time down from milliseconds to microseconds. We now build circuits that process data in time measured in nanoseconds. The competitive race to zero will continue to cut latency by additional factors every year. Software cannot keep up. Algo-Logic Systems intends to win this race by providing gateware solutions that are not only the fastest but also have highest throughput and consume the least processing power. CEOCFO: Why pay attention to Algo-Logic Systems? Dr. Lockwood: The new space of Gateware Defined Networking® (GDN) makes computation in the cloud much faster and more efficient. We see through our partnership with system builders, FPGA device manufacturers, and card vendors that there is a massive shift towards heterogeneous computing. Instead of just using Central Processing Units (CPUs) to perform processing on a homogenous processor core, we now see computation performed across a mix of CPUs, GPUs, and FPGAs. The combination of these different types of processors enables the overall heterogeneous systems to compute more quickly, process more data, and consume less energy.